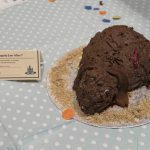 Students and staff from the University of Nottingham swapped their lab coats for aprons and rose to the annual charity bake off challenge this week, producing a variety of unusual and creative cakes with an animal theme. 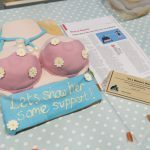 The popular competition is in it’s 7thyear and is organised by students based on Sutton Bonington campus. 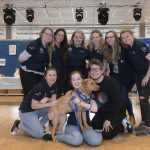 It has raised £500 so far for Vets in the Community, a Nottingham Vet School project which offers free pet care to homeless people in the city. 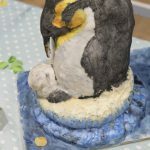 There were four categories for the bakers to choose from and climate change and its effect on wildlife was a strong theme this year. 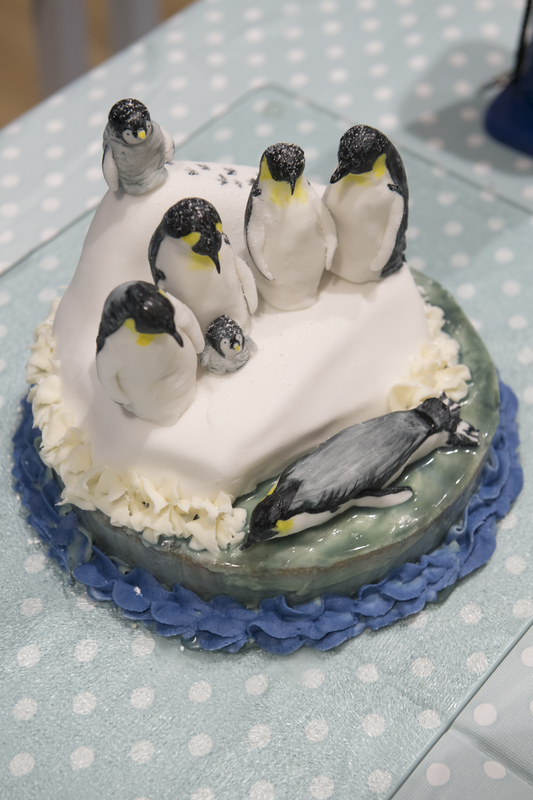 A madeira cake called ‘Survivors’ showing a group of penguins teetering on melting ice was the overall winner and winner of the Dynasties’ Desserts: David Attenborough category. 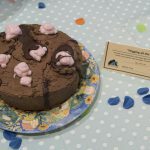 The grossest cake category was won by a cake showing flystrike in rabbits – a condition of pet rabbits where maggots accumulate on the skin and start to eat the rabbit alive! 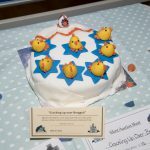 This was called ‘Who didn’t check Roger Rabbit’. 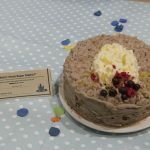 Despite it’s offputting appearance it also won the best tasting cake! 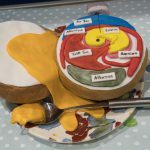 Other showstoppers included: a detailed fondant scene in the scrumptious science category illustrating In-Ovo Vaccination on chick embryos, this also won the online public vote. 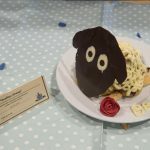 A sheep made from profiteroles called ‘Profiter-Sheep’ won the Farm to Fork category and an impressive bra shaped cake called ‘It’s a Woman’s World’ topped the Baking Bad News: Current Affairs category. 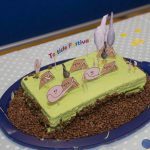 The cake off justgiving page is still for further donations. 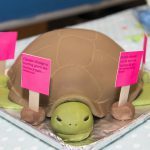 Critically Endangered? 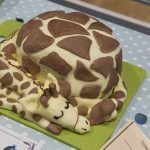 You’re Having a Giraffe! 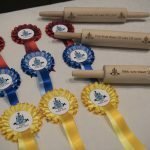 Not So Hoppily Ever After!